Here’s a must-add date for your diary if you are considering undertaking pilot training. CTC Wings will be hosting an Open Day at their Crew Training Centre in Nursling on Saturday 9th July 2011, with anyone interested in their CTC Wings and CTC TAKEOFF pilot training programmes being invited to attend. The Open Day will provide visitors with an opportunity to visit the Full Flight Simulator Centre and gain an insight into what is involved in becoming a pilot. 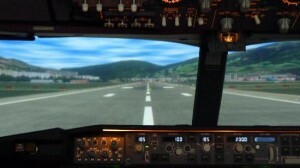 There will be various advice centres covering topics such as selection, training and finance and presentations during the day as well as tours around their Boeing and Airbus simulators, Virtual Flight Decks (VFD – Airbus) and Computer Based Training rooms. Representatives from the BBVA bank will be on hand to answer your finance queries, while Pooleys pilot shop will be open on site. and Crew Training Centre at Dibden Manor near Southampton. The training centre will be open from 10am to 4pm. Demand is expected to be high, so you are advised to book in advance.